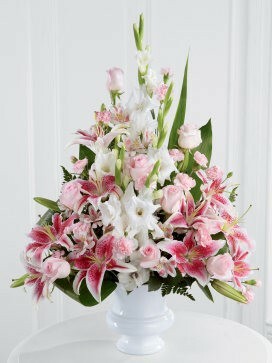 Pink Rose Lily and Gladioli Service Arrangement. 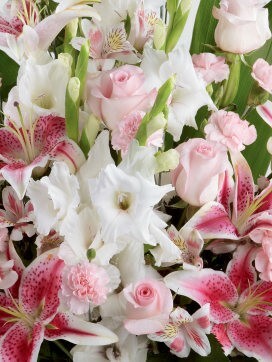 This heavenly selection of heartfelt blooms with a subtle yet dramatic tone are an exquisite display of elegance and grace. 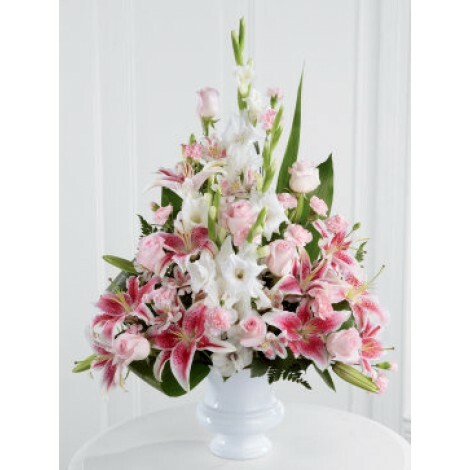 Featuring; Soft pink roses, alstroemeria and carnations are expertly arranged amongst pink Oriental lilies and white gladioli. Perfectly contrasted with lush greens, presented in a white plastic urn.